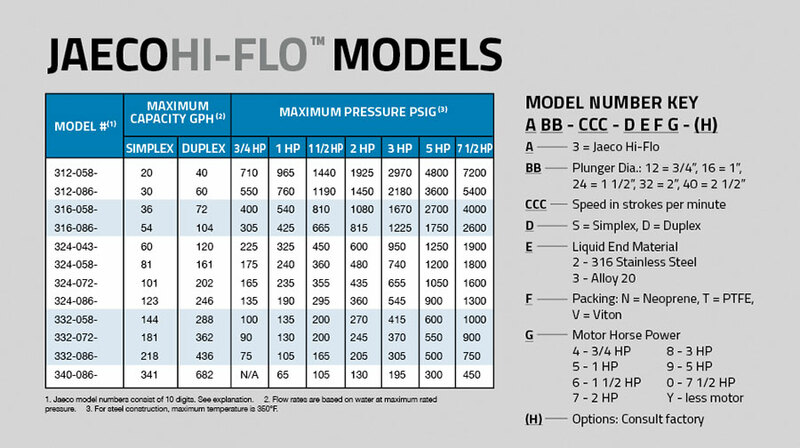 The JAECO HI-FLO is a packed plunger metering pump designed for heavy-duty positive displacement for continuous, accurate metering at higher flow rates and/or pressures. 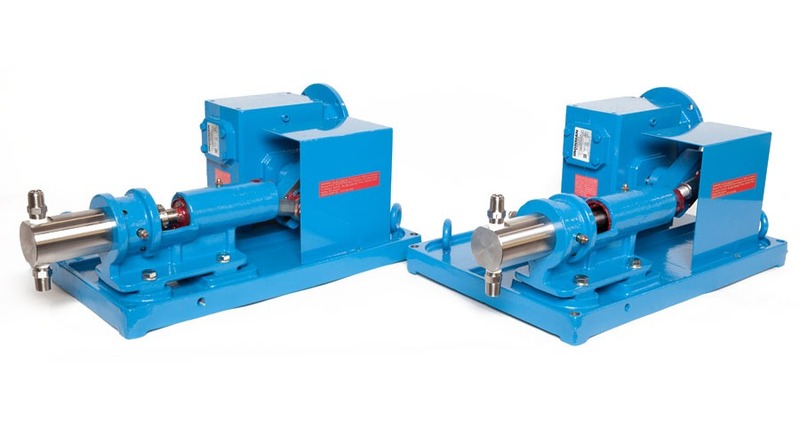 The positive displacement supplies a simple and virtually maintenance-free approach to accurate chemical feed. 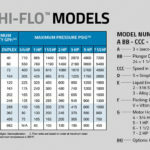 This metering pump is also available in both simplex and duplex models and holds an accuracy of ± .5% at steady state. Provides a simple and virtually maintenance-free approach to accurate chemical feed. Stroke rate easily automated using variable-speed drive. 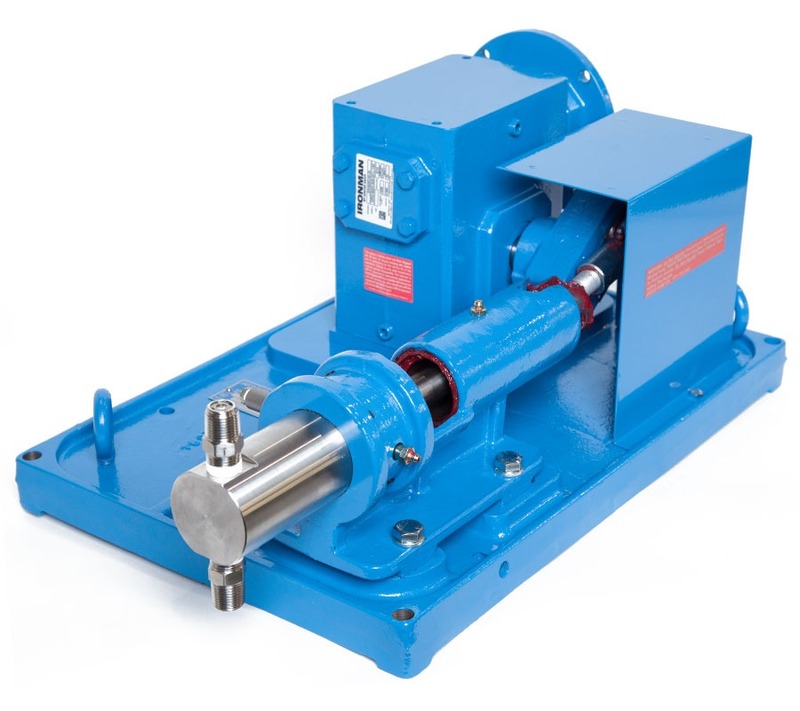 Capacity is manually adjustable, but only while pump is idle, as a safety precaution and for tamper resistance. Stroke length is 0 to 100% adjustable for a turn-down ratio of 10:1. Available with motor or as bare pump. Single ball check valve, standard on both suction and discharge side of the pump, provides accurate metering and fast response. Valve ball turns with fluid flow, constantly presenting a new face to the seat, and is therefore self-cleaning. 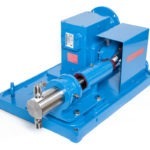 Because it is a true positive displacement pump, a safety relief valve on all closed loop systems is required to prevent the possible overpressuring of the discharge line. Integral lantern ring for packing lubricant may be used for internal purging when handling crystallized, corrosive or other hazardous liquids. Packing adjustment screwed gland nut ensures even take-up and fewer packing problems. Models 324, 332 and 340 have a clamped column, suction and discharge check valve assembly that can be easily cleaned, inspected or replaced without breaking pipe connections. Double ball check valves with or without spring-loaded balls. Purge-port plugs, available in cylinder end, can be used to bleed air during and after start-up and to solvent-purge the liquid end. 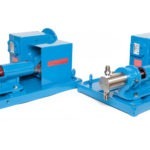 They also provide easy access to the cylinder without breaking pipe connections.